Hello, This looks very interesting, however I must ask, can I filter on Brands. We use a Brands field and all pricing and update info comes to us per Brand from different suppliers, thus the need to view on products for that Brand, and export to a xlsx per Brand. If not, what would be the cost to ask you to add that Filter in for me please. Can this plugin bulk update WooCommerce Subscription Sign Up Fee? I think yes. Edit this as a meta field. Hello. I can not get WOOBE to work. Plugin stays stuck during preloading. 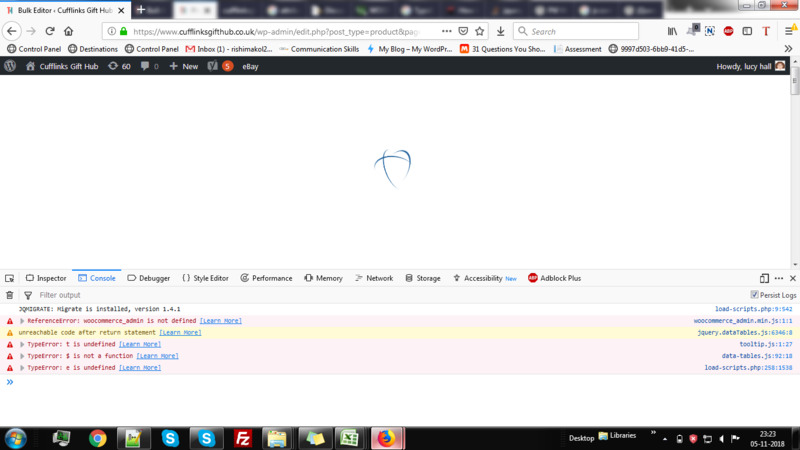 Inspector shows some CSS.MAP files can not be found and some Cloudflare link is not secure (http). Please advice. Thank! Hello, pre-purchase question – is it possible to edit/remove the download limit on one of our downloadable products – then deactivate the plugin and the settings to be active? Or does the plugin need to be actiated all the time? OK, but i see it is not possible to leave blank for unlimited downloads as the field keeps returning to ‘-1’, and also is it possible for any edit/action be applied on all previous orders? 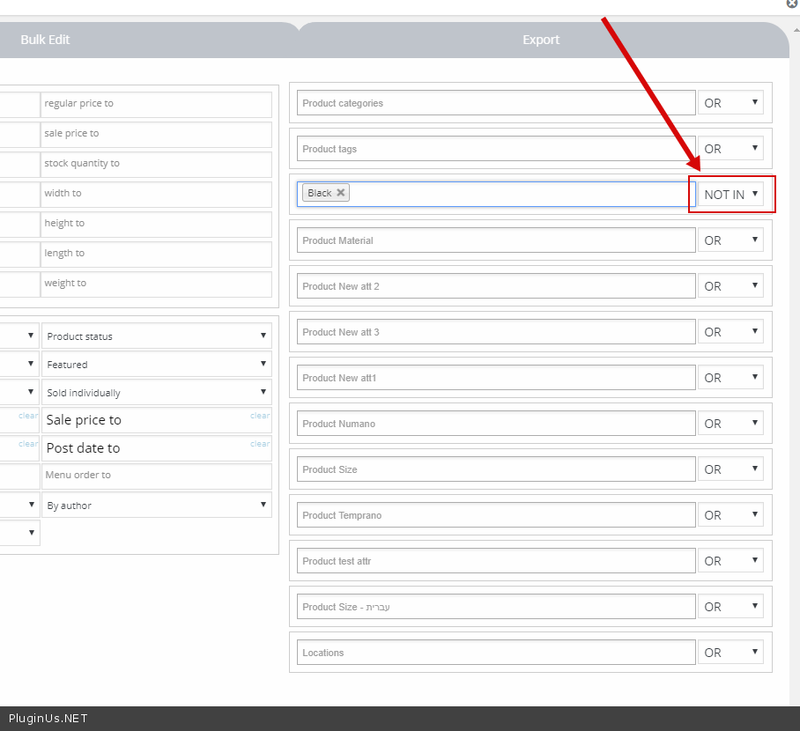 for example set unlimited downloads to all previous orders of a downloadable product. any edit/action be applied on all previous orders – This plugin works only with products. It would be great if you could include easy terms editing. Currently it’s only possible to just create a term with Name, Slug and Parent of the new term(s). 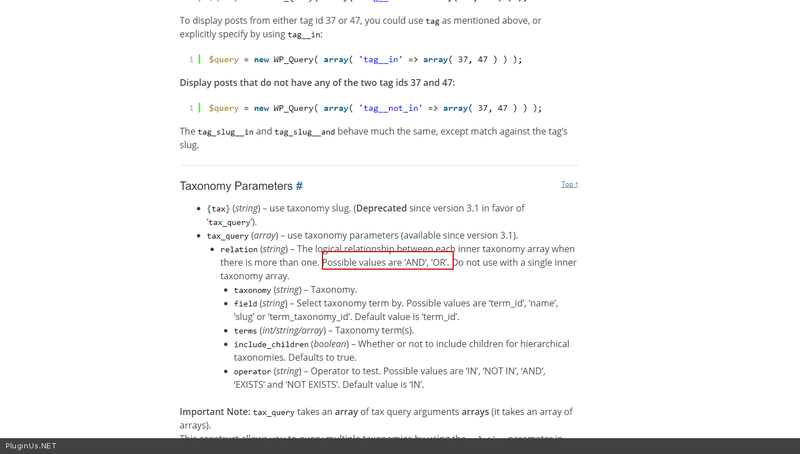 It would be handy to edit and delete terms from there, and if all fields are available. For example, common additional terms are Authors and Publishers with additional fields like description and image. Thank you! Hi, how can I bulk update visibility and order of attributes for NON variable products? My site has both variable and non variable products and I want to set visibility and order for all my products. Please help. Hello, I got the attribute visibility to work with meta fields using _product_attributes and binded editing – thanks! . I look forward to seeing it added. I have tried many bulk editors and really like this one. Keep up the good work! Actually I can not get it to work using _product_attributes array as updating any of that data resets all the variations ;/ . So no solution at present. 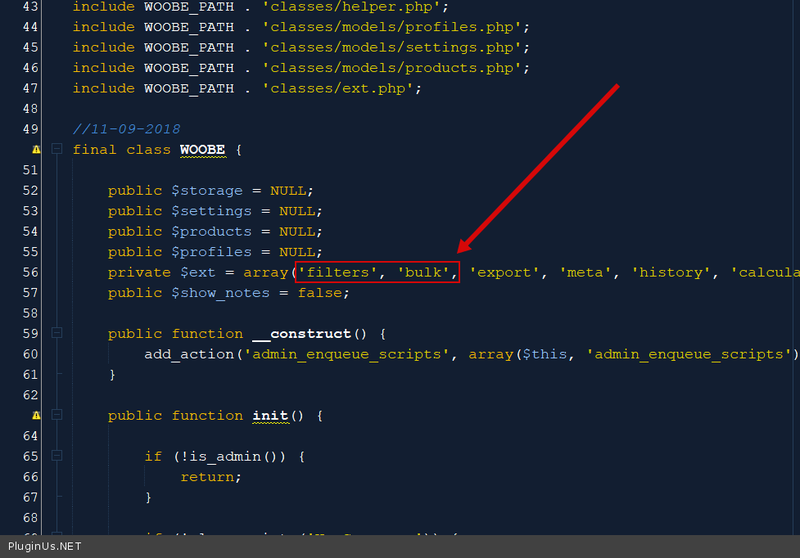 If I did the wrong bulk editor, how do I go back to the previous steps? Hi, Is it possible to remove/hide filters and edit bulk fields options. I only need a few and all this many options clutter de admin and confuse my users. I am getting an error after installing the plugin. Please give instructions to solve the error. Hi, I have a brand column with attributes that I want to add in bulk to products in product categories. 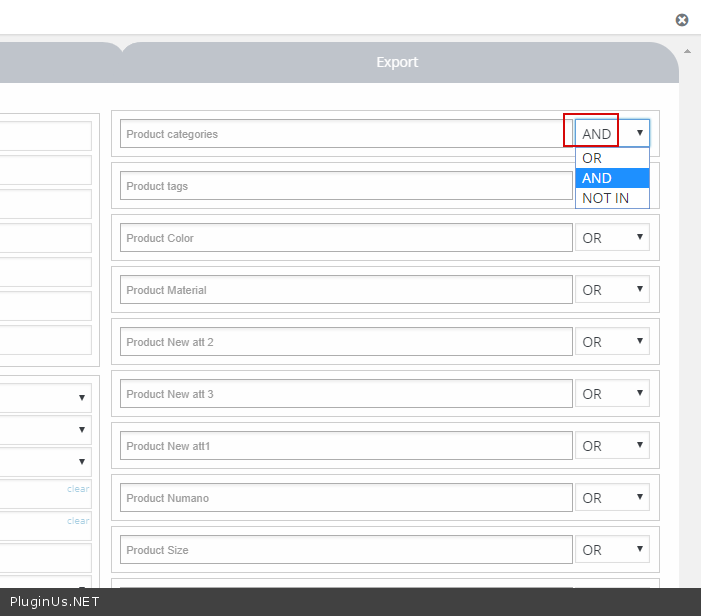 Everything works great but ONLY on simple products, WOOBE adds the attributes on variable products as well and sets the 2 checkboxes in a product to: "Show on product page" and "Use for variations" While I only want them to show on the product page, not use the brand attribute for variations. We have the pro version, however, I know I am not the buyer as it’s under my CTO account. But I am trying to use binded editing for 100 products per page to change stock qty to 0 for all products. We have over 5500 to change. Anyways the first page worked fine. The 2nd it started showing the bulk action text in two places and went way to fast. When it loaded only the first item was changed and none of the others were. So I tried it again. It worked. 3rd page of 100 it did the double status text again each of them showing different numbers of progress again way to fast and nothing but the first changed. Now it does it every time and can only get one item at a time changed. Any ideas or something I am doing wrong? Thanks! I would like to purchase this pro version but I can not get the free version to work. It installs fine but it doesn’t load. The icon on the page just spins and spins. I disabled all plugins except woocommerce and the bulk editor but no difference. Can I get some help on getting this to work? I can send you diagnostics info if you contact me. I have sent the request at the link you specified above but have not hear anything back. I emailed you access. Any news on a fix? This is a bit time-sensitive for me. Have a bunch of product data to change before Black Friday. How can you change the font in the main filter pages to a different color when typing into the boxes? At the moment it’s pink, and VERY difficult to see. What is the operator for AND in the title field? I understand (^) for OR, and (!) for NOT, but you haven’t posted the one for AND. No, i mean in the product title field, I want to select products that have both “cats” AND “360”, how would I type this in? Pre-sale question: I have around 1k product, and would like to add a “brand” attribute with the value of the brand’s name to them, is it possible to do that for all the products with a specific tag or category? Thanks. just a little clarification at the end, is it possible to add those attributes to products that have a specific tag or category? HELP! How do I edit my product title??? IT just keeps going back to what was originally there. How i can edit multiple categories ? for example. I have Item which is ‘iphone charger” It assigned it to only 1 category iphone 5, But i want to assign this item to multiple categories iphone 5,iphone 6,iphone 7. Can i do this ?